Download the software you know and love straight to your PC or Mac, without having to wait for delivery. Download your software securely from our site. Get your new software quickly, at any time of the day or night. Buy software on any device – anywhere, any time. Once your download is purchased it sits in your account, waiting for you to download at a time that suits you. Even if your new laptop or tablet doesn’t have a disc drive, downloaded software overcomes the problem! With your software kept safe in your account, you’ll never worry about losing a disc. No packaging, no disc, no delivery. The download will be added to your basket - add any other products you want and complete your purchase as usual. 2. Install it onto your PC or mobile device (as applicable). As soon as your order is successful, you’ll receive an email advising that your download is ready. Ensure you’re using the device you want to download the software to. If you purchased on your Smart Phone but want the software on your PC, now is the time to switch devices. Follow the link in the email or visit the ‘My Downloads’ section in your Account on the site. Download your software using the download link. Install on your PC or mobile device. Return to the “My Downloads” page. Click on “Click here for your serial number” for the relevant product. Enjoy your newly downloaded software. The latest apps on up to 5 PCs or Macs with one subscription. Create polished documents, build presentations and analyse data using expert tools. 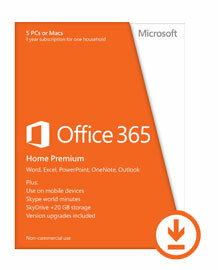 At home or remote access with 20 GB additional SkyDrive cloud storage. Keep connected with Outlook email, shared calendars and task-list tools. 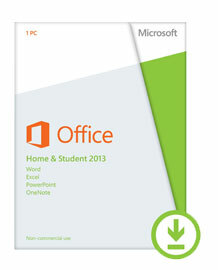 Office Web Apps to edit, view and share. 60 Skype minutes each month. Share, plan and create with easy keyboard, stylus and touchscreen control. Take advantage of the latest Office apps. Word offers dynamic document creation and editing facilities. Use Excel to consolidate your data. Build pro presentations with intuitive PowerPoint design tools. Draw, write and type multimedia notes in OneNote. Sync Office Web Apps with SkyDrive to save files to the cloud. 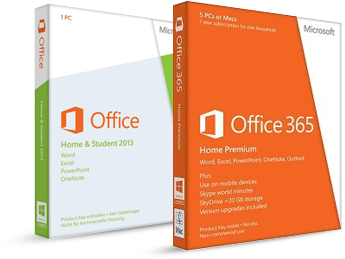 A Microsoft account is required to download any Office 2013 product. Look for the " Available for Download" symbol on the software pages. Click the “Buy for Download” button. Ensure you’re using the device you want to download the software to - if you purchased on your Smart Phone but want the software on your PC, now is the time to switch devices. Visit the 'My Downloads' section of your PC World account and follow the 'Click here to get your product key' link. This will take you to the Microsoft website to download your product.